Red Dot Games and PlayWay S.A.’s Car Mechanic Simulator 2018 has officially launch4ed on Steam for $19.99. During the first week of being on sale you can get your hands on the game for 10% off the normal price. The game has already garnered very strong feedback from the gaming community the day it launched. A lot of gearheads were geared up and ready to take a dive in Red Dot’s latest outing in the car mechanic simulation space. The new game features improved graphics that they’re calling “photorealistic”, but I don’t think the game looks that good. 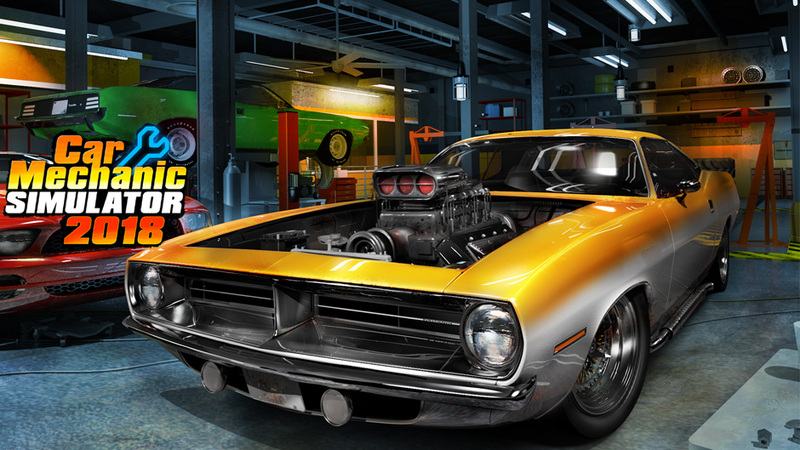 There are over 40 different cars to work on, more than 10 different tools to use, more than 1,000 different parts, and a host of random jobs to help keep the game going… forever. The cinematic for the game is actually a lot better than I thought it would be. But yeah, it’s certainly not photorealistic. There are test tracks, the ability to create your own levels, car auctions, paint shops, and a car editor so you can add your own cars to the game. Improved over the last iteration includes features such as making it where car windows are their own parts, a new repair system, new battery charger, new physics system, and custom car liveries. So why is the ratings for the game currently mixed? Simple: poor optimization. A large majority of the complaints are that the game runs awful even on high-end rigs running a GTX 980Ti. Otherwise, a lot of gamers absolutely love how detailed the game is, and the sort of features present in it. If the optimization wasn’t such a huge drawback, most people recommend picking it up. You can learn more about Car Mechanic Simulator 2018 or check out more user reviews by visiting the Steam store page.